Kelly Kerner joined the University of Georgia as its vice president for development and alumni relations in July 2014 following a national search. In his role as vice president, he is responsible for managing the university’s advancement program, which includes fundraising, alumni relations, financial and fundraising support services, donor relations and stewardship, special events, and career counseling. 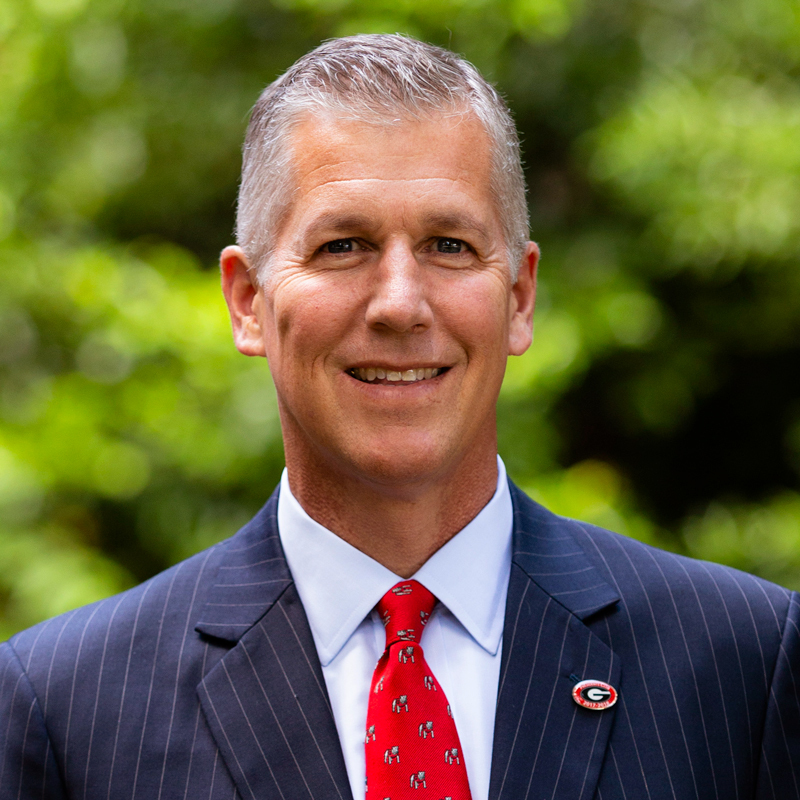 Before joining UGA, Kerner served as senior vice president for development and alumni relations and secretary of the college at Bowdoin College in Brunswick, Maine. With more than two decades in higher education development, he served as Vice President for College Advancement at Bates College in Maine, and in various development roles at Middlebury College and the University of Portland prior to joining Bowdoin. He holds a bachelor’s degree from the University of Colorado, Boulder, where he was on the varsity tennis team. He achieved an international ranking in 1987 on the Association of Tennis Professionals tour.